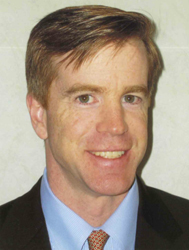 Doctor Carney’s specialty lies in reconstructive orthopedic surgery and sports medicine. He offers the most advanced and comprehensive orthopedic care available in Bergen County, New Jersey (NJ). Doctor Carney and his staff are dedicated to providing the highest level of personal attention, expertise, compassion, and overall quality care to his patients. Your doctor or surgeon is involved in all aspects of your care and will strive to help you understand the process of diagnosis, treatment, rehabilitation, and prevention of further injury. Co-author with Dr. Vincent Fietti: “Distal Radius Fractures and Carpal Injuries. “ Presented at the International Wrist Conference in Japan, 1990. Developed an electrochemical devise to remove ferric ions from the blood of patients with hemochromatosis. Received funding from Georgetown University Medcine Center, 1987. Team Physician, Fair Lawn High School. Team Physician, William Paterson University.